Très bonnes nouvelles pour les voyageurs! 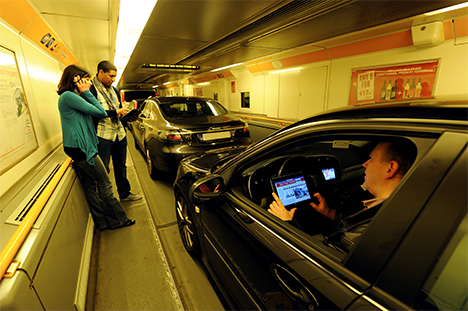 Channel Tunnel to receive phone coverage! Since 1994 trains have been doing something that would have astonished our ancestors. Not only do we have high speed horseless carriages, but they are capable of travelling under the sea. A clear affront to God, but a popular one nonetheless – as now 20 million people every year take the Channel Tunnel. What’s perhaps surprising though is that when travelling on this engineering marvel, passengers aren’t constantly left jaws agape in wonder – but are bored during the 35 minute subterranean trip across national frontiers. 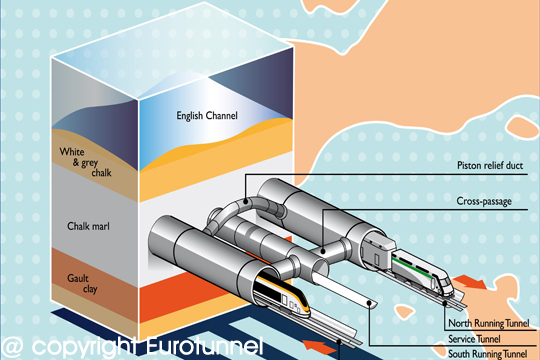 Which is perhaps why EE have today announced that they’ll be installing mobile services in the tunnel, that will give their customers access to 2G, 3G and eventually 4G signal all of the way to Calais. Apparently 2G and 3G should be active by March, with 4G following in the summer. This follows Vodafone also announcing that they’re planning similar – but with no 4G just yet. Sorry O2 users – haven’t heard anything there yet. What’s interesting is that this (and Voda’s announcement) so far only covers the southbound tunnel. The Chunnel is actually three tunnels – one for trains heading from Britain to France (that’s the southbound one), one for trains heading from France to Britain, and a service tunnel in the middle. So it remains to be seen whether this will later be extended to the northbound tunnel, or if this will be restricted to French mobile networks. What EE do tell me though is that the signal will continue all of the way until Calais – rather than terminating half way along the tunnel where the official border with France sits. So it’s good news for travellers who want to eek out a few more minutes of Twitter and Facebook before hitting the other side of the channel… when you have to go roaming and pay extortionate fees for data. Let’s hope the mobile companies sort that out next. 6 apps and websites to figure out what to do this evening!